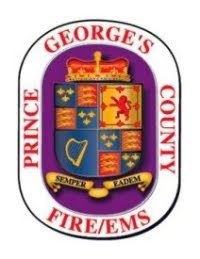 A plan to restructure the Prince George’s County Fire Commission drew fierce criticism Wednesday from volunteer firefighters and County Council members, who said they would try to reach a compromise before a Tuesday deadline. The plan, outlined in an executive order and a bill submitted to the council by County Executive Rushern L. Baker III (D) last month, would change the role and composition of the commission, which currently has nine members elected by the county’s volunteer stations and controls about $12 million of the county’s fire/EMS budget. Under the proposal, members would be appointed by the county executive, as is standard for other commissions in the county, and would serve as advisers to the fire chief, who would have authority over the budget. Commission members would also be required to live in the county, which is not currently a requirement. Several dozen volunteer firefighters showed up at the meeting of the Public Safety and Fiscal Management Committee, which is made up of County Council members, to show their opposition to the proposal. With Tuesday being the last day that legislation can be introduced in the council this year and Baker’s administration unwilling to pull the bill to make changes, council members found themselves faced with either rushing to amend the bill Wednesday to allow for a compromise or killing it outright. Ultimately, the committee voted to move the proposal with no recommendation — which would allow council members including Will Campos (D-Dist. 2) of Hyattsville, chairman of the committee, to meet with volunteers and try to make the plan more to their liking. Baker’s staff defended the proposal at the hearing. Fire Chief Marc Bashoor told the committee that the changes were entirely administrative and should have no effect on the work of the average firefighter. But council members were not satisfied, citing concerns that had been raised to them by volunteer companies. Several volunteer officials testified against the bill, arguing that they had not been adequately included in discussions about reorganizing the commission and wanted to give more input. Some county municipalities, such as Greenbelt, Berwyn Heights and New Carrollton, have opposed the legislation. At one point in the hearing, Councilman Mel Franklin (D-Dist. 9) of Upper Marlboro brought forth an amended version of the bill intended to make the changes more palatable to volunteers. The proposed changes included expanding the commission to 11 members, five of which would be volunteers, and giving individual stations more control over their budgets. Franklin withdrew the amendments when council members said they would not be able to vote on them Wednesday without more time to review them. Prince George's County Council members plan to hold an emergency meeting Monday in a last-ditch attempt to iron out the differences between the county executive's office and the volunteer fire commission. County Executive Rushern Baker and the county's 1,300 volunteer firefighters are torn over Baker's effort to overhaul the commission and strip its members of their oversight of roughly $12 million of the county's fire and emergency management budget. Baker issued an executive order in September to reorganize the commission's makeup to include three volunteer firefighters, three career firefighters and three civilians. All would be nominated by the county executive and appointed by the council, rather than elected from the volunteer ranks as they are now. And for the first time, all commission members would be required to live in the county. Accompanying legislation would place the 8 percent of the fire budget overseen by the commission under Fire Chief Mark Bashoor's purview. Bashoor guaranteed the commission's budget would remain intact, but firefighters say they have dutifully managed their finances for more than four decades and there's no reason for the change. Glenn Sherman, president of the county's Volunteer Fire and Rescue Association, said the commission can only conclude that the move is a power grab by the county fire department. Councilwoman Mary Lehman, D-Laurel, called Baker's proposal "unnecessarily aggressive and overly antagonistic." Council members lamented the short time frame left to act on the executive order and legislation. The entire council must take an up or down vote on the executive order by Nov. 15, and if the council doesn't take action on its accompanying legislation by Tuesday, the bill would be killed for the year. But Baker's staff refused to yield in an attempt to push the measure through this year. "It's the right thing to do," said Brad Frome, Baker's deputy chief of staff. "We feel that it's the proper legislation for the county, and there's no intent to harm the volunteers." The legislation would likely diversify an all-white commission working in a predominantly black county, and reorganizing the volunteer structure would create a more efficient budget for the Fire/EMS department. "When you merge the line items of the budget that are exactly the same, you eliminate that fiefdom of stovepipes, of competing priorities and competing agendas," Bashoor said. "Will it be something that's easy? No. It's painful, especially for the volunteers. But in the end, nothing is being taken away from them." A malfunctioning stove is believed to be the cause of a fire in a Beltsville condominium building this morning. Just after 1:00 am, Thursday, October 13, 2011, Firefighter/Medics were alerted to a fire in a condominium apartment in the 11300 block of Cherry Hill Road, Maryland Farm Condominiums, in Beltsville. Firefighters from Calverton/Beltsville and other surrounding Stations arrived to find a working fire in a second floor condo of a 3-story garden-style building. Most of the building occupants were able to exit the building safely prior to the Fire Departments arrival, however, high heat and heavy smoke quickly filled the interior stairwell of the building blocking the primary means of egress. Residents trapped on upper floors utilized their secondary means of egress and retreated to their balconies and awaited rescue. While several crews of firefighters were effecting the rescue of four trapped occupants, other firefighters initiated an attack on the fire. Incident commanders ordered a precautionary 2ND Alarm as all available on-scene Fire/EMS resources were being utilized. Firefighters from the initial alarm were able to make the rescues and contain the fire to the unit of origin. The fire was knocked down in about 15 minutes. The four occupants that were rescued by firefighters were evaluated by paramedics who determined they were not injured. No civilian or firefighter injuries were reported. Five attached buildings had their utilities shut off to allow firefighters to operate safely and some residents will be displaced for a short period of time (hours). Twelve condo apartments in the building of origin will suffer a temporary displacement. Those displaced include 24 adults, 11 children, 5 dogs and a rabbit. The County Citizen Services Unit and the American Red Cross assisted those displaced with temporary housing. Fire Investigators from the Fire/EMS Departments Office of the Fire Marshal conducted an investigation into the cause and origin of the fire and believe this fire is “accidental” and attributed to a malfunctioning stove. Fire loss is estimated at $30,000.